This was my second visit to San Diego. 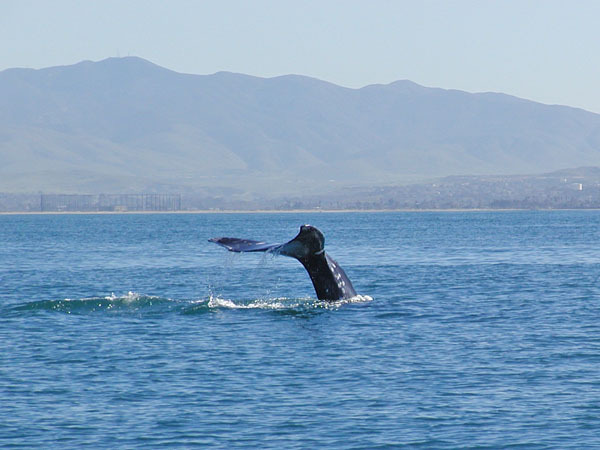 Specifically, I came for a whale watching adventure. 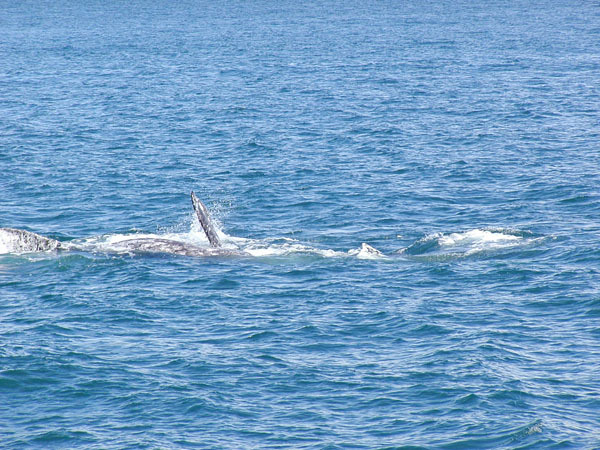 From December through about March, the California Grey Whale makes a migration from Alaska to Baja, California in Mexico and back again. 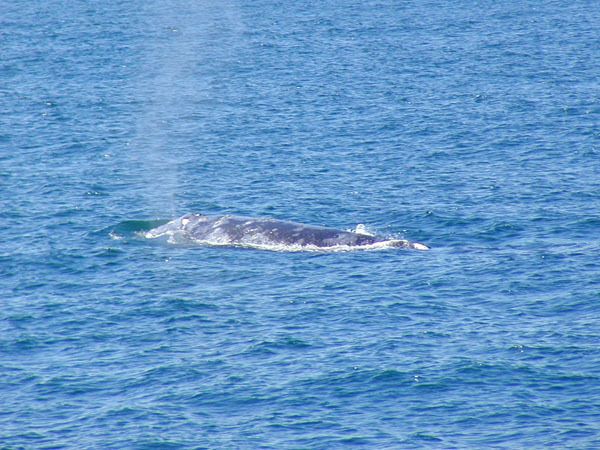 They travel within a few miles along the coast. 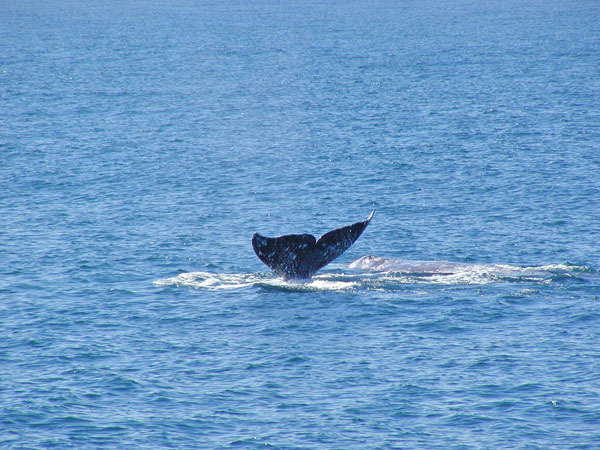 One of the reasons the whales migrate is for the pregnant females to give birth to their young in the warm waters off the Mexican coast. 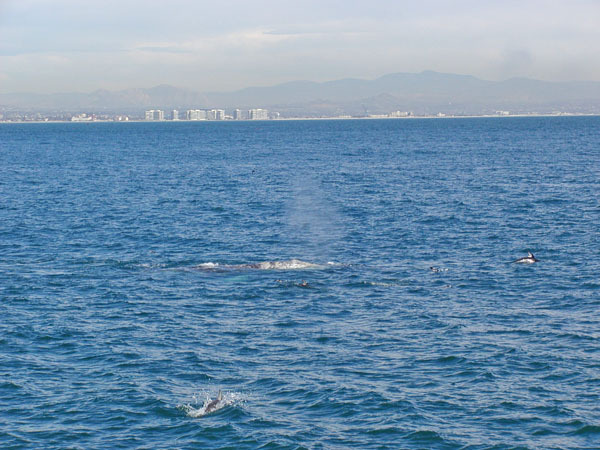 But, since the gestation period for the whales is about 12 to 14 months, another activity that goes on during the trip is the "preparation" for the birth of the babies 12 to 14 months later. 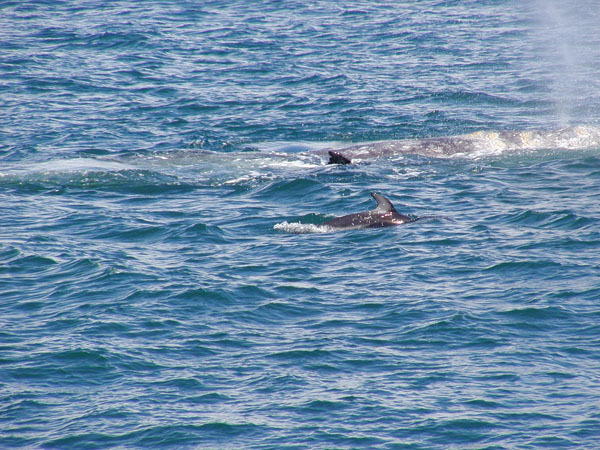 Naturalists have noticed that dolphins seem to like watching this behavior of the whales. 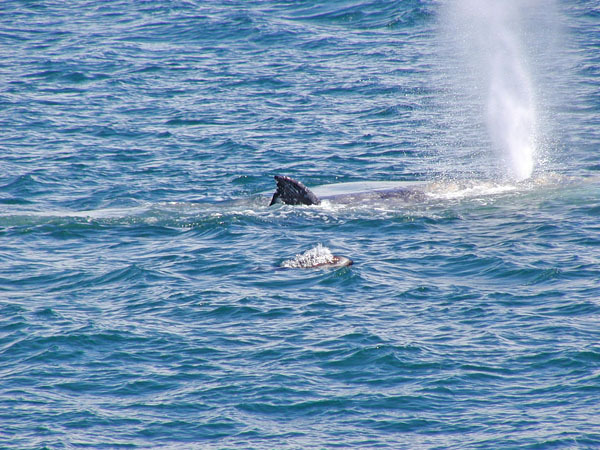 Below are some photos of whales with their dolphin audience. 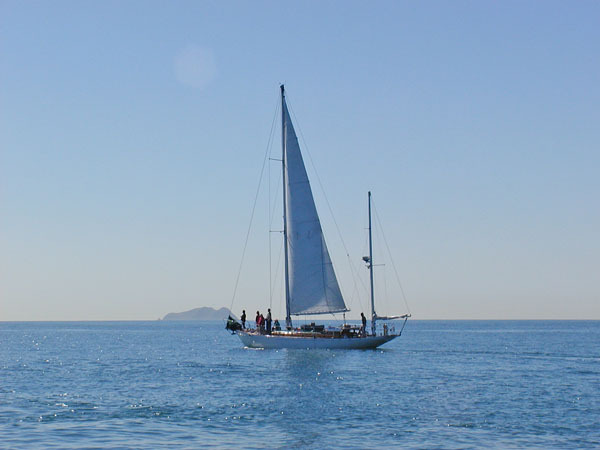 One of the whale watching trips I took was on a sailboat. Below are two we saw out doing the same thing. 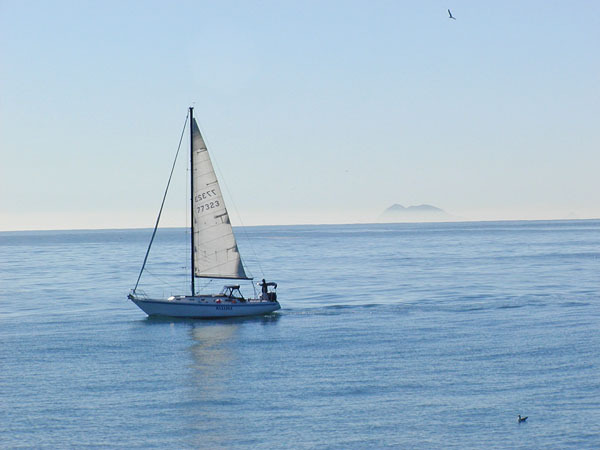 The island behind each of the boats is one of the Coronado Islands in Mexican waters. To get back to the first California trip, click on "California" on the breadcrumbs above.